Everything becomes small, after 1947, when the vacuum tube ENIAC turned into transistors smaller, faster and reliable, which serves to send an electrical signal along the circuit. Later developed into an IC (integrated circuit) which is a collection of all circuits in a chip box made ​​of silicon and only half the size of your thumb. then with a small processor or microprocessor that can be used in PC / notebook / netbook / tablet PC is currently the process is initially carried out with a lot of computers to be more concise by using only a single peripheral. Thanks to the miniature and the discovery of these processors, the manufacturer may include more components. Faster processing speed and data storage becomes larger. One-tenth the price of the current processor thousands of prices in the past. Moving forward with a small component, fast speed and the ability to pack more but the price is also affordable. I work in touch with a lot of documents such as Word, Excel and PowerPoint for presentations. After that, I can send it via email to the client or others. If this is that often you do then you can choose netbooks as their choice. I am a graphic design on a web company that often travel out of town then the choice of the notebook can be an alternative solution. I often use multimedia on the go, the iPad tablet could be a solution because it has a wide screen and battery life long enough. You can transfer them via iTunes for not being able to watch from a DVD drive. 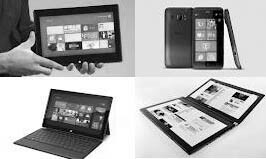 But if you are using a CD / DVD while listening to music or watch videos the notebook of choice for the netbook is not provided optical-drive (unless using external optical-drive). I want to play lots of games, the iPad to be an alternative solution. With the App Store, you can download many games on it. Whatever type of activity you do, the election to purchase such gadgets will primarily depend on the needs of users in using the gadget.